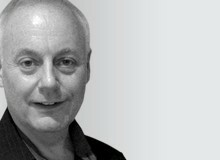 Martin is a passionate technologist having spent over 30 years in telecommunications and wireless networks. Originally from the UK, he has spent 20 years in the USA. He has created many startup networks and developed numerous products that have delivered a great deal of value to customers. He founded Wireless Solutions International and built a global business delivering quality consulting and products to various sectors. He has served on advisory boards, is a former CTO for a GSM carrier and is an advisor and mentor to numerous startups.